I originally intended to call this post The Writer’s Decision, but the term denouement seems to better capture my feelings. I made my decisions about following a writer’s path in life long ago, and now it feels like I lost on that. Denouement simply means epilogue, the pulling together of strands of a story after the last act, but to me the word has an added connotation of melancholy. Finality. My writing life never amounted to much, and nothing else ever took hold. I’ve known for quite some time that the creative side of writing is mostly dead in American, but I didn’t think it had gone the way of vulgar obliteration. 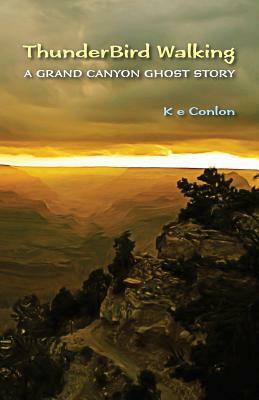 I poked fun at the idea of isolation in ThunderBird Walking, creating a character who’s a writer and an embodied ghost trying to make sense of his life journey while sitting on a cliff in the rim of Grand Canyon. There’s no turning back on the decision to embrace being a writer. I’ve let go of the notion that there’s any living in it, made fun of being a ghost no one listens to, and now all that’s left is a haunting. I’m taking a stab at NaNoWriMo (National Novel Writing Month) to write the ThunderBird followup. I’m calling it ‘Spook on the Loose in Tucson’, and hopefully I can sublimate some of the darkness I’ve stumbled into. Writers have to write even if there’s no living in it. I muse that maybe I actually am a embodied ghost, more alive than most of the living who bustle around in this meaningless town. A writer’s got to write. NaNoWriMo — I plan to write about 50k words of prose during the month, and then add epistolary or catena elements like blog posts, twitter tweets, and journal entries to round out the novel later. Not sure how this will turn out, but that’s the whole idea of writing and creating.